Keep Systems and Software up to date. The most important security precaution you can take to prevent a data breach from happening is keeping your computer systems and software up to date. To combat security threats, keep your software current and secure by updating applications and operating systems as soon as updates or security patches are released. Create Strong Password Policies. Implement policies forcing users to change their passwords regularly and with complexity. The stronger the password, the higher level of protection your devices have from malicious threats. A strong password should include numbers, symbols, uppercase and lowercase letters. Enforce an Encryption Policy. Employ an encryption policy to ensure that access to the network is controlled, and that data is not vulnerable to attack during transmission across the network. Manage Use of External Storage Devices. External storage devices, such as USB flash drives, CDs and DVDs are more susceptible to loss or theft, which can compromise the confidentiality and integrity of sensitive data. Only allow encrypted data to be stored on external storage devices. Conduct Security Awareness Training. Providing security awareness training to all users will teach them how to prevent a data breach while making them more aware of security issues and vulnerabilities, so they will be part of the solution, not part of the problem. Implement Two-Factor Authentication. Two-factor authentication, or 2FA, adds an extra layer of security to an account login procedure. Instead of logging into an account with just a username and password, known as single factor authentication, 2FA adds a second level of authentication by requiring the user to provide an additional credential before being able to access an account. The additional authentication factor may be: something you know, such as a PIN, password, or answer to a secret question; something you have, such as a bank card or mobile phone; or something you are, such as a biometric like a fingerprint, voice pattern, or facial pattern. Conduct a Comprehensive Security Assessment. Conduct a full internal and external security assessment to measure the effectiveness of your organization’s security measures. The results of these assessments uncover where your highest risks and gaps are located that threaten the confidentiality, integrity, and availability of your data. Contact Chelsea Technologies. 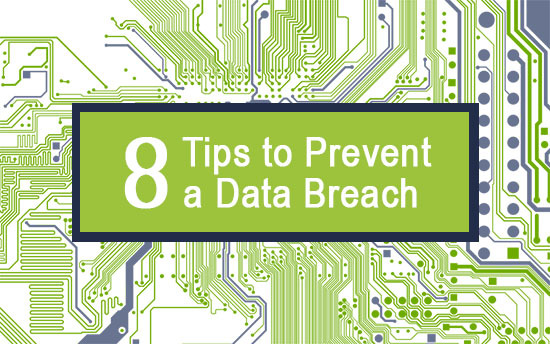 Call us at 212.966.3355 to find out how we can help prevent a data breach from affecting to your business.